I also found a new vlog channel on Youtube that I am seriously addicted to. 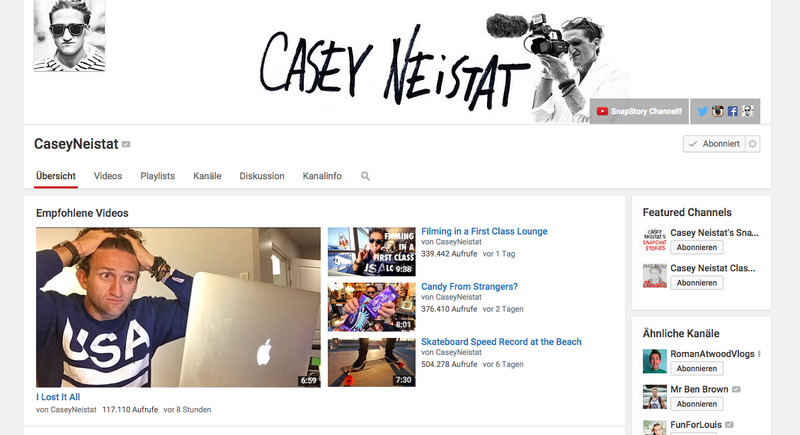 I guess I am super late with this one, but Casey Neistat is an awesome vlogger and adventurer. You should check out his channel. My favorite movie this month was “How to lose a guy in 10 days”. I don’t know what it is with these chick flicks these days, but whatever. It’s cute, it’s funny and I had a great time. My favorite Etsy store is Suzanne Harford Photography. These photographs are beautiful and whimsical. I can’t wait to get my own place and the opportunity to buy some of the prints. Another thing, I wanted to quickly talk about, is my first guest post ever! May from the thepdxbelle.com featured my post about how to pack effectively for studying abroad in the form of a little ebook. Check it out here! I am sorry, that there are not a ton of things in this post, especially no really travel related items. I just didn’t have a lot of time to discover new favorites. I hope next month is better again. Also, I just announced that my next trip to Portugal (Porto and Lisbon) is booked, so please leave me your travel tips! What are your September Favorites? Which book should I read next? Nothing beats How to lose a guy in 10 days. That is one of the best chick flicks out there and one of my favorite movies. I can see how it would top your list! Glad to hear that other people still dig that movie 🙂 Thanks for stopping by, Kristin!